Monkey see. Monkey like. Monkey read! 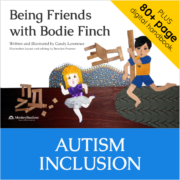 Being Friends with Bodie Finch – available now! Snatching toys, spoiling games, throwing chairs – Zara just can’t take the new boy’s behaviour any more! But then Miss Tinker comes into Zara’s class, and shows Zara what life is really like for Bodie Finch. Armed with this understanding, little Zara reaches out the hand of friendship – and the result surprises everyone. This picture book unlocks the mysteries of autism in child-friendly language and comes with a digital handbook to help teachers and parents work Miss Tinker’s magic in their own classrooms and homes. 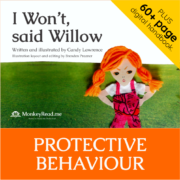 I Won’t, said Willow – available now! Willow’s in trouble with Mum. She won’t greet Mum’s guests with a hug and a kiss, like Mum expects. But Willow has been told to keep an uncomfortable secret by one of Mum’s visitors, and she’s saying NO the only way she can. It’s not till Aunt Terry turns up at school that Willow learns about good secrets and bad secrets, and what to do with the bad secret she’s holding inside. This picture book empowers children to say NO to unwanted touch by family and friends – the most common source of child sexual assault – without being frightening by giving too much information. It also shows how to find a safe person to confide in. A digital handbook written in consultation with Sarah Rasdall, a survivor of child sexual assault, helps parents and teachers to use the book effectively with children, to understand how a child thinks, and to realise how forcing a child to ignore their body instincts confuses them when a sexual predator strikes. 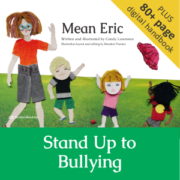 Mean Eric – coming soon! Eric’s the meanest kid in the class, and the only way Indigenous child Zac can escape being bullied and called ‘dirty’ is to become Eric’s offsider. That means Zac has to do mean things too. But when Zac is told to pick on his friend Becky to satisfy Eric, he feels sick inside. A chance encounter with Eric’s family, and some wise words from Zac’s father, open Zac’s eyes to how Eric became so mean. With his dad’s help and encouragement, Zac chooses not to copy Eric and even offers him a less hurtful way to release his anger. My Dad’s a Girl – coming soon! Becky gets furious when the other children tease her about her transgender father. When Eric is rude to Dad’s face, Becky is so mad she hits him – and Mrs Baker decides it’s time to teach all the children about this particular difference. A simple analogy played out with different toys and coloured boxes helps the children understand how nature can sometimes play tricks on people, and put a girl into a boy’s body. 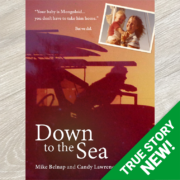 This story is taken from real life and has approval from members of the transgender community. Finn’s Happy Pants – coming soon! Finn’s mum and her new girlfriend don’t approve of violence. When there’s a dress-up day at school all the other boys are going as pirates and cowboys, with swords and guns, and Finn wants to fit in so he can find someone to play with. But he doesn’t want to upset his family. What to do? With some help from Mum’s girlfriend, Finn goes with his gut and stands out from the crowd – and in the process discovers that being himself is the best way to find true friends. Jasper’s Island – coming soon! When heavy rain turns Jasper’s family property into an island, Jasper can’t wait to explore. His creative mind turns what could be a boring, frustrating situation into an adventure, and he even manages to draw Mum and Dad into his enthusiasm. This book celebrates the powers of the imagination and is a reassuring, accepting text for children who prefer to play alone and develop creative ideas within their own head. Sometimes Things Die – coming soon! Mrs Baker is sad when her dog dies. She shares facts and ideas about death and dying with the children in her class in a simple and reassuring way, acknowledging that death is permanent and causes pain for those left behind, but opening the way for discussion of a difficult abstract concept. This book demystifies death in an age-appropriate way and is fully factual, while allowing space for discussion of spiritual beliefs. The Horrible Thing – coming soon! Ari has seen something horrible and can’t put it out of his mind. It’s giving him bad dreams and making him cry when he hears a loud noise. When Mrs Baker realises that the new boy in her class is suffering, she teaches him a simple mindfulness technique to keep him in the moment and take away some of the power of the events of the past. This book is based on the Five Senses grounding technique and is adapted to be used with very young children. It is not a substitute for professional trauma counselling but rather is an aid for the inclusion of children who have been traumatised by events outside their control, such as refugees from war-torn countries and accident /assault victims. The technique is also useful as a simple guided meditation for helping children to relax. Mean Eric $30.00 GST inc.
Down to the Sea $35.00 GST inc. I Won't, said Willow $30.00 GST inc. Being Friends with Bodie Finch $30.00 GST inc.